Smart Plug For High Noise Environments. 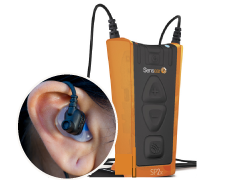 The Smart Plug attaches to Custom Sensear dB Blockers for that personalized hearing protection. SP2X Advanced Smart Plug Custom Ear Plug Features. Effective face to face communication in up to 95 dB of noise. 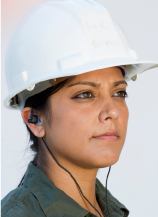 The new SP2x enables workers to enjoy the benefits of SENS™ technology without the need for a boom mic and it can be used in situations where ear muffs are not suitable.